Working with tapeless media requires a robust organization and backup policy to ensure your footage remains safe. If you watch just about any movie or television show today – there’s a high probability that at least one green screen shot is part of that production. The quality of green screen and CGI environments have gotten to be so good – that’s it often tough to argue against the economics of using the technique. In fact, while I still prefer practical locations and effects, it would be foolish not to consider green screen as a tool that can not only make your shot happen, but in many instances it will allow you to pull off shots that you could never practically (or safely) accomplish. FFV Now Offers Straight-to-Avid Editing Workflows. sideKickHD & sideKickHD Studio users will benefit from FFV's latest announcement. FFV will offer native Avid DNxHD support for its DVRs, meaning that they can record video directly to Avid editing systems and instantly start editing, without any aditional transcoding. We've just released the third public beta of Post Haste for Windows. Post Haste is a free app for keeping project folders organized. It's targeted at video editors, musicians, photographers, designers and anyone who needs to organize project assets consistently and reliably. This version features drag and drop reordering within the template editor, reorderable parameters in preferences, and folder icons in the filename preview field. There is also the option to set a template as the default, meaning it will be selected every time you launch the app. Recently, a colleague of mine asked about how to set up the Ki Pro Mini for use with the Canon C300. With the latest firmware (v3.0), the Ki Pro Mini can be triggered to record via the C300, as well as record in 24p (23.976 to be exact). The C300 does not output 23.98 progressively or in PsF, instead it adds pull-down for a 59.94 interlaced output. This is fine for monitoring, but for external recording, a 2-3 pull-down removal is preferred. The Ki Pro Mini isn’t usually able to remove pull-down, but with the C300 it can. In the manual for the Ki Pro Mini it explains how to do this, but it can still be a bit confusing. Here are the steps to get the C300 and Ki Pro Mini working together. New Media Composer Archive Solution Frees Edit Storage and Protects Valuable Video Assets (Walnut Creek CA, Pangbourne UK--March 28, 2012) XenData, the leading provider of digital video archive solutions to the media and entertainment industry, and Marquis Broadcast, specialist in content workflows and media integration software, today announced a collaborative solution to easily archive Avid Media Composer projects to LTO-5 cartridges. The solution frees up edit storage and creates and protects valuable assets by generating copies on one or more replica LTO tape cartridges. This tutorial from RED will show you how to manually and auto sync audio to your R3D files. You can download RED CINE-X Pro (beta) for free from red.com here. Impossible Software has been building its product for a little while now. Founded 2008, its concentrated on real-time video, especially placing images and video into other videos. What do I mean here? I mean putting products into video that were never there in the first place: product placement. Yes, this has been done before, but I’m going to lay a bet you’ve not seen stuff like this. In this last part of my Sony F3 and S-log series, I go over how to generate 3D LUTs that can be used with external LUT boxes and in post. In order to do this I use an HD Link Pro from BlackMagic Design and, to control it, a program called LinkColor. Video editing in Photoshop CS6 has been completely revamped, and more exciting, is that it’s now available to all users! Adobe Dynamic Link is a fantastic feature that allows live interaction between different software applications. It is a really valuable tool that I really can’t imagine being without. and 3D visual effects. The 2013 version includes 3D relighting and compositing. Panasonic Post Expert Peter Putnam talks about the what to look for when comparing professiona (evaluation)l grade video monitors. At a recent AbelCine seminar introducing the new ALEXA Studio camera, I gave a presentation on ARRI's Look Files and their online LUT generator. 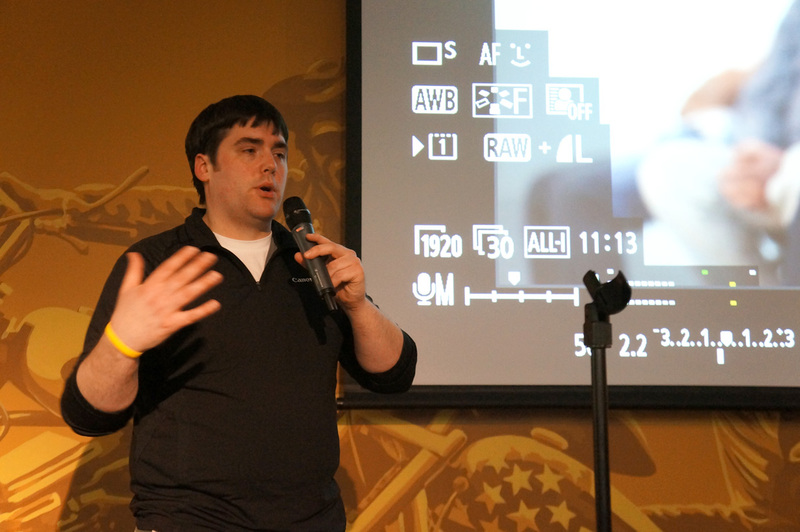 Afterwards, several people asked me to describe the difference between a Look File and a LUT. I explained that ARRI's Look Files were more like Scene Files. It seemed like an easy answer, but it just opened the door to more questions. With more and more cameras shooting in flat-looking Log modes or RAW, the topic of LUTs on set and their implications in post have become big points of discussion. At the same time, there are many cameras that utilize the more traditional Scene Files for control of color and contrast. Furthermore, there are cameras like the ARRI ALEXA and RED EPIC that offer their own unique types of image control. The confusion is understandable. Let me start by explaining some of the terms. Well we are testing Premiere Pro CS 5.5 for a few weeks now. Yes, we tried that in the past and it did not work out well. But with the release of the 9.2 Version of the Blackmagic Design drivers (Blackmagic Design Desktop Video 9.2 - a while ago now) for the BMD Video-Cards we use something changed and now it actually works quite well. The Retina hi-res display on the new iPad is by far its strongest selling point and I'm thrilled to see that it lines up quite closely with Rec. A panel of programming executives at the Satellite 2012 conference and exhibition in Washington, D.C. said this week that said ultra-high definition (UHD) TV held promise, if not in the near term, but that 3D TV was problematic now. For a variety of reasons, I couldn’t resist taking the opportunity to give Filmlight’s new Baselight plugin for Final Cut Pro 7 a whirl. Baselight has long been one of the industry’s premiere grading applications, used on projects both large and small, and among professional colorists I’ve always heard it spoken of glowingly. Will Avid be the company selling out editors? OK, it’s a provocative headline, and while I don’t for a minute think Avid are deliberately setting out to sell out editors, it may be an inevitable result of inevitable technological innovation. At an executive briefing in LA during the week, Avid noted that their NAB announcements were largely going to be about “the cloud”. That’s pretty much all they announced, so everything else in this post is conjecture and speculation, not rumor or fact. Known for its on-set color-correction tools, Gamma & Density Co. released last year its 3cP / Image Control Pro app for the iPad and iPhone. Our very own Jimmy Shen took the app for a test-drive. Learn which Android apps are ‘must-haves’ for video producers, photographers and filmmakers. Developers can use Apple Events to perform such tasks as programmatically saving and loading projects, highlighting items in a bin and searching. None of the competing apps are able to do this. We can also communicate with Final Cut Pro over MIDI, which we put to good use in Cut Notes, but Premiere and FCPX unfortunately lack this feature. Over the past for months or so, I’ve had one of my editors working primarily in Adobe CS 5.5 with another working in Avid Media Composer 6 to really see how they operated in all sorts of situations. Short stories, longer form, news features, etc… My editors and I struggled to come up with a definitive answer as to which we should use for “This American Land” as that’s the first broadcast series to fire up for us again since we dropped Final Cut Pro. Support for Vision Research's new Miro M Series cameras (March 26, 2012) This updated Phantom Cine Toolkit package now includes support for Vision Research´s new line of Miro M series cameras as well as the latest v1210 and v1610 cameras. Cine files created with Vision Research´s new PCC 2.0 as well as Glue Tools´ Séance package is also directly supported. With the significantly improved color processing engine, Cinematographer and Artists can now see exactly what the image looked like on the Camera's HD-SDI out. SMPTE Time Code created by PCC and Séance is also handled properly. New Software Driver enables Significant Power Reduction at more Affordable Price (Oakdale, Minnesota--March 26, 2012) Small Tree (Booth SL7425), designer of simple-to-install, inexpensive Mac-based networking and shared storage products, has finished developing its network driver software for the next generation of Intel® Ethernet Converged Network Adapter X540-T2, based on the Intel® Ethernet Controller 10 Gigabit X540. Small Tree’s OS X software driver supports Intel’s 10G-Base-T adapters to provide a significant power reduction for 10 Gigabit copper connections at a more affordable price without any reduction in performance. A few days ago I saw a tweet from someone who needed help with a corrupted EDL. Since I like challenges and to help out I contacted him and he sent me the EDL. The original EDL was 70 events long and he wanted to add another 50 events to it which where in another EDL file. So he copied the 50 events from file 2 and pasted them at the end of the file 1. When his clients located in Moscow and Paris seemed to forget that there was a 12 hours time difference and that they were 5,000 miles away and began using head nods and hand signals to show approval for color grades, Jake Blackstone realized that his vision was now reality. Program for Windows, Mac, and Linux leaves beta, adding FLAC support, improved effects and track labeling, and new device toolbar to manage inputs and outputs. Here are two quick tutorials by editor Dylan Reeve that will show you the simplicity of importing Canon C300 and Canon 5D MKIII footage into Media Composer 6.0. Watch below. UK based color management specialist Light Illusion unveiled its new LightSpace CMS Quick Profile – a new version of its LightSpace CMS color management system. LightSpace CMS provides facility-wide color management from an easy-to-use system that is display, format and workflow agnostic. The new version reduces the entry point for full profile and LUT-based calibration. FilmLight’s much anticipated “Baselight for Final Cut Pro” plugin has officially been released. I’ve spent the past day or so playing around with the plugin to find out what the plugin could do for me. In this third part of my series on the Sony F65 Workflow, I go over how to use Sony’s SR Compression format. In the latest firmware revision, the F65 is able to record in the SStP (Simple Studio Profile) video format, also known as the SR Compression format. This is the same format found in the F35 and other HDCAM SR recording cameras. Right now, the F65 can record in the SQ Mode (at 440 Mbps) to the SR Memory cards, with HQ and Lite options available in the future. NVIDIA's next-gen GPUs sure took their sweet time arriving, but the first of the Kepler crew is finally available in stores and its 28nm silicon is just itching to show off what it can do. You may be wondering what the 2GB GeForce GTX 680 brings to the gaming table, and whether it'll put an end to AMD's free run at the top of the food chain. Well, NVIDIA now claims it has "the fastest GPU in the world", with both lower power consumptionand a 10-40 percent performance advantage over AMD's single-GPU rival, the Radeon HD 7970, at 1920 x 1080. How can it back up such a boast? Ultimately, everything hinges on independent benchmarks (coming soon in our review round-up), but in the meantime we need to look at NVIDIA's new architecture for clues. Intrigued? Then head on past the break. Using Final Cut Pro X and miss Automatic Duck for your OMF exports? Audio stems not enough? X2Pro Audio Convert is a new $100 application (for a limited time, through April 30, it’s only $70) from Marquis Broadcast that is now available on the Mac App Store. DVS Presents CLIPSTER’s 3D Workflow at NAB 2012: Stand SL6815, NAB 2012 At this year’s NAB, DVS will present CLIPSTER® with a stunning 3D workflow, while VENICE users will benefit from seamless processes in file-based production environments. SpycerBox, DVS’s flexible and modular storage solution, allows for high-availability scenarios. (Geneva, Switzerland--March 21, 2012) Marquise Technologies announced today the new powerful DCI mastering features available for the DI deck M I S T. The DCI mastering in M I S T is an option providing a tool-set of functionalities for mastering and encoding a DCP in real-time. The assembling of the elements needed for the package and their control are done naturally in the Time Line of M I S T, giving the ability to control the process at any time. Whatever the digital source master is made of, no need to pre-transcode, as M I S T works natively with all major formats, including DPX, TIFF, Apple ProRes, QuickTime, Sony XDCAM or H264 from DSLRs like Canon 5D, independently of resolution or frame rate. I’m delighted to announce that a preview release of Photoshop CS6 is available for download from Adobe Labs. Seagate just shattered the record for storage density on hard drives by using a novel recording method to stuff 1 terabit into a square inch. That's nearly twice the old record. Hard drives are about to get huge. Codex Digital now offers full support for ARRI's Alexa Studio with Codex ARRIRAW Plus and the Codex Onboard recorders, which can record up to 48 frames per second of ARRIRAW from the Alexa Studio in 4:3, using Codex' new high speed Data Packs. The company is also readying the debut of the Codex Vault at NAB 2012.
applications from The Foundry and 3rd party vendors, and MARI is now more customisable. advertising across the Asia Pacific region. Last week we presented a webinar entitled: “The Avid to Squeeze Workflow” and hundreds of Avid users saw first hand the powerful workflows that Squeeze and Squeeze Pro can provide. Now, we have made the on-demand recording of the webinar available to anyone who would like to view it. Final Cut Pro X can use clips with non-square pixel aspect ratios. However if QuickTime movies don’t have the correct flags set internally, there is no way to tell Final Cut that a clip’s pixels are anamorphic. MTI Film will showcase its new Cortex platform at NAB 2012. The company received positive responses when it previewed Cortex::Convey, the first offering in the Cortex family, at the Hollywood Post Alliance Technical Retreat in February. This new generation of Convey builds on the foundation of its predecessor – the automated, data-centric deliverables application used in MTI Film’s Control Dailies system. Cortex::Convey is a stand-alone application featuring a multi-threaded transcoding engine that supports all popular video codecs with an interface that is easy to use. The result is a simple, streamlined transcoding system that can be used at any phase in the postproduction workflow. Dan Chung posted some camera-original clips from his new 5D Mark III. I grabbed one and did a quick color grade. Today I found out a neat trick…thanks to the Twitter-verse. That’s what I love about Twitter. I can post a quick thought, or some observation…OR…I can ask quick advice about a random topic and get an answer rather quickly. I don’t have to go looking for some specific forum and then post the question there, and hope someone knows the answer. I just throw the answer out there, and wait for someone to post the solution. Typically I get more than one answer, and I get the answer within minutes. At NAB 2011 FilmLight surprised most everyone with a preview of their Baseligh for Final Cut Prot plugin. It was surprising because I think many people expected them to release a lower cost, Mac-based version of their flagship Baselight color grading tool. Instead they showed a different strategy that looks to revolve around very powerful color grading plugins and interoperability with the full Baselight systems. The FCP plugin had been in beta for a while and was just released. For $995 Baselight for Final Cut Pro can be yours. New Switch Offers copper connectivity for 10 Gigabit Networks (Oakdale, Minnesota--March 15, 2012) Small Tree will introduce its ST10G-28Cat6, a 24 port 10 Gigabit Ethernet switch offering video editors the ability to support 10 Gigabit Networks without needing expensive optics and cabling, at NAB 2012 (Booth SL7425). Leading experts in Mac OS X technology and converged networking, Small Tree is bringing two technologies together to allow fast, low latency storage protocols to run over Ethernet. The company’s newest offering enables businesses to effectively migrate to the latest in 10 Gb technology significantly increasing their workflows due to the increased video streams being supported. Industry's First 6400MB/s Read & Writes. (Chatsworth, California--March 15, 2012) Dulce Systems, a provider of world-class storage solutions, today announced its new PRO Density-e, high performance, high reliability storage array. We've just released the second public beta of Post Haste for Windows. Post Haste is a free app for keeping project folders organized. It's targeted at video editors, musicians, photographers, designers and anyone who needs to organize project assets consistently and reliably. This version features a software updater that will automatically notify you when future betas are released. Other changes include the ability to clear history, a function to restore the default templates that ship with the app, and the ability to reset a field back to its default value by using the Backspace key. We've also improved stability and fixed several bugs. Post Haste 1.0 B2 is a free download and requires Windows 7 and .NET Framework. We're expecting bugs in this beta so please use the links within the Help menu to report any issues you find in this build. Learn how to eliminate image distortion by identifying the pixel aspect ratio of your assets, and choosing sequence presets to match. Recently I’ve had a chance to visit with some of the brightest minds in post production today. These gentlemen arrived at this point in their careers from various paths, but they all arrived at the same place, which was at the door of Autodesk’s Smoke. Now that I steeled myself to learn Smoke, I was ready and determined to get down to business. Fortunately, Autodesk has provided several step by step tutorials which through the most basic aspects of her in the software which helped me on my way. Again, Smoke doesn’t look or feel like any other OS app I’ve ever used, so I started from the beginning: importing clips into the project. Start by loading the folder that contains your clips. Select clips you want to import into the project window. Then you just highlight a clip and using the ‘Source Layout’ and select the ‘standard screen’. Visual effects software developer, The Foundry, has released MARI 1.4v3 – the latest update to its cutting-edge texture and matte painting tool for 3D artists. The new release features several fixes and tweaks and includes a host of upgrades that current users have requested. When shooting with the RED Epic or Scarlet in HDRx mode you need to know how to combine both sets of exposures to make use of the increased dynamic range. This short tutorial will show you how to do this in DaVinci Resolve. Another great link from the Tao of Color newsletter. ARRI has begun to ship its DNxHD update for their Alexa camera. This announcement that the Alexa would get DNxHD as an onboard recording option (besides ProRes) was welcome news to post-production people like myself who use Avid Media Composer. While ProRes is supported in Avid both by AMA linking and direct MXF creation (in the Media Composer version 6 on Mac that is) DNxHD is Avid’s own in-house codec and is a perfect option for compressed hi-def media. But ARRI’s onboard DNxHD recording uses an MXF format that’s a bit different than Avid’s. Read on for a discussion of why that is (and lots of OP). The EBU is putting together a media, television and radio theme for this summer's Libre Software Meeting in Geneva (7-12 July). Contributions are welcome. The programme for this year’s Libre Software Meeting (LSM) in Geneva will include a special two-day media stream, with many Open Source projects relevant for media production and distribution, such as tools for use in authoring, recording, ingest, editing, management, storage, encoding, play-out, streaming, broadcast transmission and user devices. Aaron Williams gives a fast paced but valuable 30 minute presentation to introduce color grading to relative beginners, giving a ’30’000 ft overview’ of the processes and techniques that can be used in Final Cut Pro, After Effects and Apple Color. He walks through several example shots demonstrating different looks and explaining the basics as he goes. My friends and I have been testing out the next version of Adobe Premiere Pro for the past few months. Since our video about FCPX was so well received, We thought we would do one ourselves about Premiere. Here’s a sneak peek at the new interface in the upcoming version of Premiere Pro. Let me know what you think and please spread the word. Recently, Adobe and RED presented an hour-long online seminar about using Adobe software with RED Digital Cinema cameras. Representing RED was Ted Schilowitz (“Leader of the Rebellion”), and representing Adobe was Wes Howell, software quality engineer. To watch the recording, click this link. Colorist Ian Vertovec and Light Iron Digital CEO Michael Cioni talk briefly about color grading David Fincher’s The Girl With The Dragon Tattoo in what is essentially one long advert for Dolby’s new reference monitor (Dolby® PRM-4200 Professional Reference Monitor) But you get a few interesting tid-bits in amongst the overbearing platitudes. Continuing its trend of being first to market to support new RED technology, ASSIMILATE today announced both SCRATCH and SCRATCH Lab support for REDgamma3 and REDcolor3, the latest advancements in RED’s Color Science. With RED’s latest color science update, SCRATCH and Lab artists – DITs, video engineers and DI artists -- will see dramatically improved image quality in the monitoring path, and a richer environment for color grading, even when using older REDCODE RAW images. some important considerations for the VFX teams. In 2011 and 2012 I converted all the short films (30) for a film festival that were not DCPs to the DCP format. In 2012 I used Easydcp Creator 2.0 that supports Quicktime files so the process was very simple. The DCPs was mostly 25 FPS SMPTE DCPs, but there were also some 24 FPS and some 30 FPS SMPTE DCPs. Steve and I get down to grading some projects. We each take one of our real world projects and grade it, then hand it off to the other for an alternate grade. This episode is very hands-on, working in Resolve to get the job done. Note: If you want some great, affordable DaVinci Resolve training, here’s a great recommendation: Alexis Van Hurkman’s brand new release via Ripple Training: DaVinci Resolve Core Training. Definitely check it out! In this tutorial, you will learn how to sync and manage BWF (broadcast wave file) audio in REDCINE-X PRO. From linking to R3Ds to selecting slate points, Dan from RED covers all of the basics you need to know to help you bring sound to your 4K/5K images. Almost one year ago I started a little tutorial website called FinalCutWhiz.com. I honestly thought I’d get maybe one view a day and there wouldn’t be much interaction. However, over the past year that has changed dramatically. But, I have decided to back down and start a new website called EditingWhiz.com. (Geneva, Switzerland--March 12, 2012) Marquise Technologies announced a new debayering engine, MOSAIC™, able to playback in real-time 2D and Stereo3D RAW footage. MOSAIC™, a new technology developed by Marquise Technologies, is able to significantly increase the debayering speed of RAW images from digital cameras up to real time, ensuring a maximum image quality and DoP's will integrity. Canon 5D Mark III in action once again - how the camera captures colors? How the new Canon 5D Mark III captures colors? Check out the video below which will answer this question. The video is pretty incredible and really nice edited. Do you want to make a short film? Here's a flowchart that describes the process! Making movies is not easy even if you don't plan to shoot a blockbuster, but a short. If you think otherwise, you should really check out the flowchart below. You will see that making movies is a complicated and unpredictable process and you should often expect the unexpected. In this free course, Todd Kopriva, co-author of Adobe After Effects CS5 Learn by Video, helps you avoid common After Effects hiccups with a collection of answers to Frequently Asked Questions. Whether you´re having audio hiccups, getting pixelated vector graphics, or getting oversized files or jerky playback, Todd equips you to zip past these common hurdles and get back to creating great effects. New media transformation and workflow technology solutions will be unveiled for the first time at the 2012 NAB Show, along with enhancements to Digital Rapids’ established solutions. I recently had the pleasure and honor of being invited again by Hewlett Packard to their 2012 media event, where I was able to speak with Jacob Rosenberg, Chief Technical Officer and partner of Bandito Brothers, which created Act of Valor. Jacob was one of several guest speakers at the media event which took place in Las Vegas, Nevada, USA. He described several technical facets of the production of Act of Valor for the audience, including the camera, workstations, software, and monitors which I’ll summarize in this article, together with the somewhat surprising color space chosen by Bandito Brothers. Sony recently released software version 1.1 for the SR-PC4 interface box for SRMemory cards and a new beta version of the F65RAW Viewer application. Unfortunately, you are not always in complete control of a project from start to finish. As a motion graphics artist, you will often be excluded from the field production stage. Footage will be shot without you (and often without regard to your needs). We learned an important lesson early on: If you're at the end of the line (which is where video editors and motion graphics folks are in the process), you're responsible for everything that's wrong with the final product. Sadly, there's not much you can do to change this fact. Except of course, you can "fix it in post." Pomfort has added a native Scratch .3dl LUT output to LiveGrade. This LUT lines up in Scratch for color corrected file outputs very nicely. This is an outstanding workflow for generating dailies on commercial projects. Anything you could ever need to do for file generation you can do in Scratch and LiveGrade is a very fast and seamless way to generate LUT's for this software. Using the Avid Artist Control Surface with this software combo has sped me up considerably and closed a lot of the previous workflow gaps. 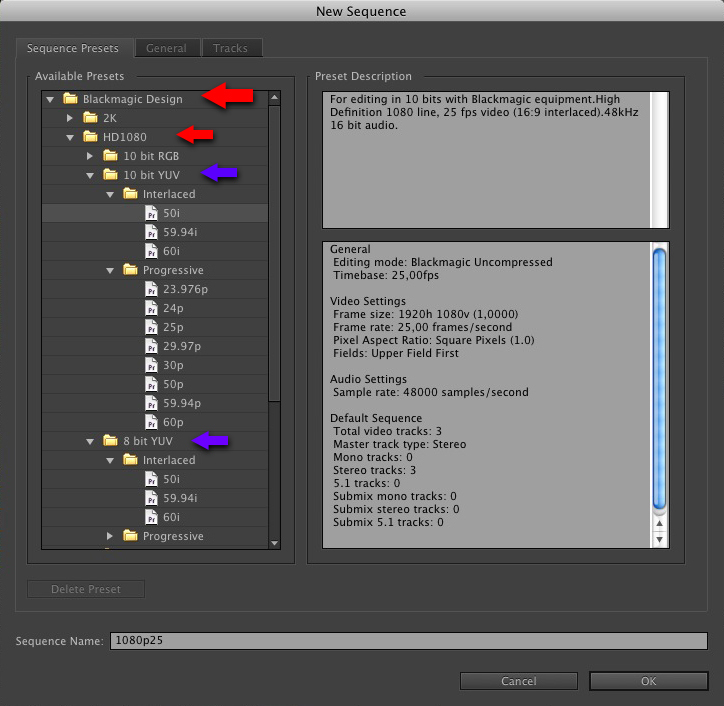 Hiero 1.0 is a lightweight shot manager for VFX. The software is not designed for compositing, finishing, grading or editing. Instead, it allows production facilities to efficiently conform, review and export shots to visual effects artists and into finishing systems. For the casual user, knowing the total versus usable storage capacity of their system is not usually of concern. Furthermore, one usually finds that bandwidth or performance tweaks are seldom required once a system is fully configured, especially in a closed system. However, during the design process, as storage, IT and server components are selected, many factors will be addressed that in turn will set the total “cost-to-performance” value of a system. Don't let that cute design fool you. Lytro, the world's first commercial light field camera, is the culmination of nearly twenty years of research -- a project that once occupied an entire wall facade, and has since been miniaturized into something that fits in the palm of your hand. An impressive feat, sure, but not as arresting as the end result: the ability to refocus pictures, even after you've taken them. When the new iPad ships, Digital Publishing Suite customers will have support for these new features in the enterprise-signed Adobe Content Viewer. This means you’ll be able to display stunning, full-bleed, immersive publications using every pixel of the 2048 x 1536 display with richer color saturation using Adobe Content Viewer technology. When the newest build of Content Viewer is approved in the Apple App Store, these features will be supported in all published new iPad applications. Powerful dailies systems target high-end productions with added support for Sony F65, 4K Dailies, High Frame Rate Cinematography and Background Processing (Los Angeles, California--March 6, 2012) Creative Science, a Los Angeles based post-production rental and technology company, today announced upgrades to their fleet of mobile dailies systems for support of realtime 4K dailies workflows, 48 or 60 frame per second Cinematography, and background rendering of deliverables. Integrating the first dailies software to provide 4K playback for Sony’s F65 RAW and other high-resolution digital cinema cameras, Colorfront On-Set Dailies software and Creative Science mobile systems open up a host of new creative possibilities for filmmakers and studios. Trying to decide what's the best aspect film ratios for your indie films? Mike gives a detailed overview of the different aspect ratios using just a regular HD camera that shoots in 16:9 as well as using Premiere Pro. A new video from EBU TECHNICAL introduces the topic of reference video displays for production and the challenge of finding a suitable replacement for the CRT. (March 5, 2012) HP just unveiled the follow-up to its popular line of Z workstations: the Z820, Z620 and Z420, which come equipped with the eight-core Intel Xeon processor E5-2600 product family, offer up to 512 gigabytes of DDR3 memory and support multithreaded workstation applications. How to Digital Sensors Work? Sorenson Media Launches New Sorenson Squeeze 8 Pro with Support for Apple ProRes, Avid DNxHD, Dolby Pro audio and Other Professional Features: Sorenson Squeeze 8 Pro Provides the Industry’s Highest Quality, Greatest Control and Most Effective Workflow for Video Professionals (San Diego, California--March 6, 2012) Sorenson Media today announced the immediate availability of Sorenson Squeeze 8 Pro, which gives video professionals unprecedented workflow functionality and control using the company’s gold-standard video encoding and transcoding application. What is the difference between Expert Render In/Out and Render In/Out? The difference boils down to time and space. Expert Render In/Out will analyze a sequence and determine what effects need to be rendered to have successful playback of the sequence, sometimes reducing the amount of time spent and the amount of render files created on a drive. When you Render In/Out all of the effects in a sequence in rendered even if they aren’t essential for successful playback. The first time I laid eyes on a professional Sony OLED monitor I knew my professional life had changed. In a few years I’m sure we’ll take this technology for granted, but right now it looks AMAZING compared to any other monitoring system I use on a regular basis. For a slightly-technical-but-mostly-educational look at why, read on. RED releases a new version of its Final Cut Studio RED Installer! RED releases a new version of its Final Cut Studio RED Installer! : RED released a new version of its Final Cut Studio RED Installer. The version 30.4.0 adds support for EPIC and Scarlet-X footage to all components, it includes version 5.0 of the REDCODE QuickTime codec, with support for REDcolor3 and REDgamma3, version 4.5 of the RED plug-in for Color, which also adds support for REDcolor3 and REDgamma3, and more. All clips resolutions over 4k are automatically decoded at half resolution and the Log & Transfer plugin has been updated to include the camera model metadata in the Log & Transfer window. Codex Digital announced full support for the new ARRI Alexa Studio. The combination of the Alexa Studio, with its 4:3 sensor and optical viewfinder, and the Codex Onboard Recorder, is already proving to be a popular choice for feature films. The combination is currently being used on films such as Skyfall (Roger Deakins, ASC, BSC) and The Lone Ranger (Bojan Bozelli, ASC). Apple's workstation is a wonderfully designed machine but sadly does not get updated that often. The graphics options are also limited, out of date, and very expensive for those who want CUDA. A wide variety of AMD and Nvidia PC gaming cards work quite well in Mac Pros despite no official support from Apple or those graphics companies. Thanks mainly to the efforts of "netkas", "Rominator", and "Cindori" from the Hackintosh community, they have discovered several methods of getting common PC gaming cards to work in Mac Pros, through a combination of ROM hacks, injectors, and exploiting unannounced features in drivers provided by AMD/Nvidia. The Facilis TerraBlock 5.5 Shared Storage Solution with the Facilis Shared File System for Linux is now available. 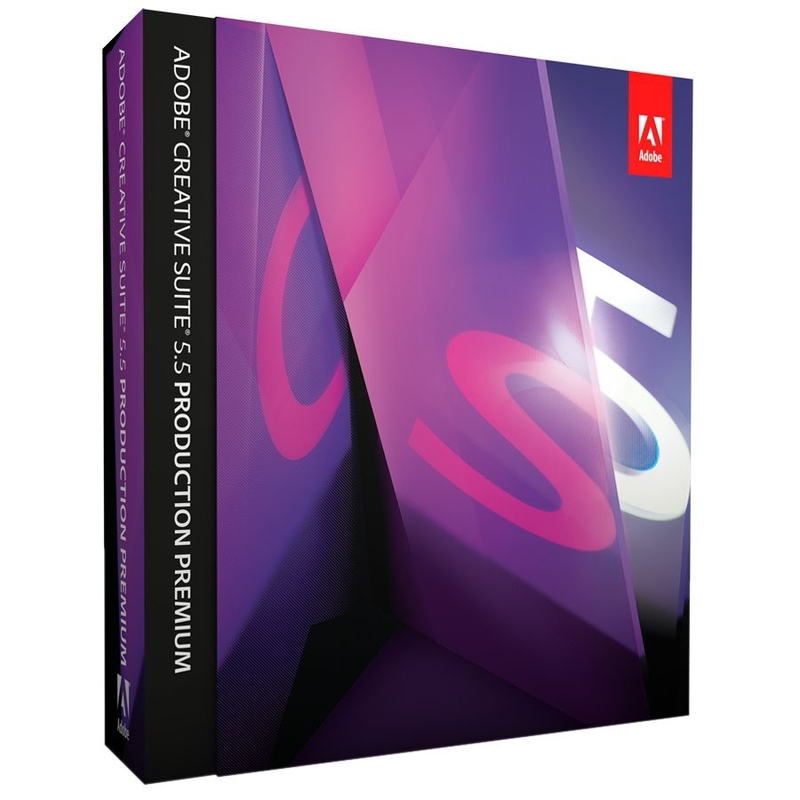 New features such as integrated server spanning and mirroring, Adobe® Premiere® Pro CS 5.5 project sharing and the TX16 capacity expansion product, offer post production, broadcast and content creation professionals expanded capabilities and scalability, in addition to enhanced value and performance. Post Haste is a free app for keeping project folders organized. It's targeted at video editors, musicians, photographers, designers and anyone who needs to organize project assets consistently and reliably. Simply create a template for the project directory structure using the built-in template editor (or import the structure from an existing project) and Post Haste will copy that folder structure when you create a new project, ensuring that subsequent projects are named and organized consistently. Today In Production Releases Part 3 of our looks at Davinci Resolve - Workflow. How to get your projects in and out of Resolve. When you install Smoke either from the 30-Day Trial, the Educational version or even the retail, there is a lot that goes on behind the scenes and under the hood. Resolve 8.2 is Out. Adds F65 Raw support! The release (i.e. non-beta) version of Resolve 8.2 is available from BMD... difference from the beta seem to be F65 support, and rendering to HDCAM-SR. Very, very cool! HDCAM-SR is a great codec.